A random wire pattern in a circular surround. 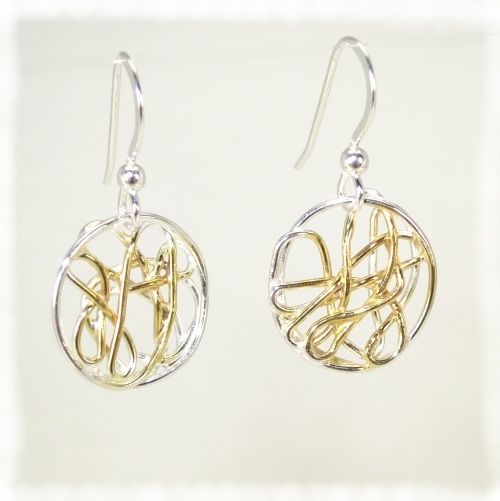 They are available in silver or with a light gold highlight on the inner wires. They only weigh about 3g for a pair. I choose the wire patterns to make matching pairs but no one earring is the same. There is a matching pendant here. These hoops are just over 2cm in diameter, but other sizes are available. Stud only. 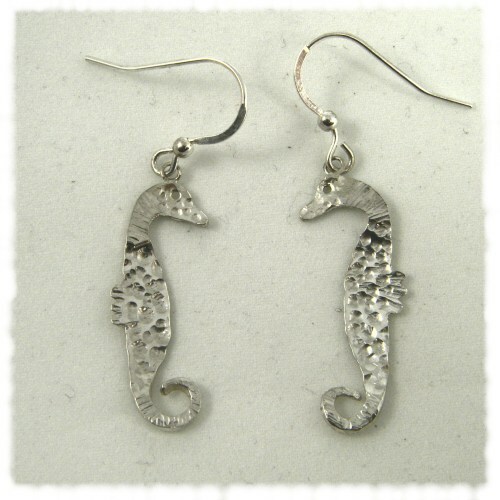 There are so many different species of seahorse, but probably none like these and they don't float. 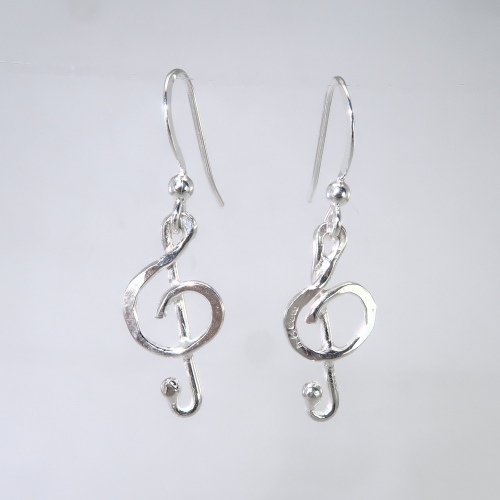 These are about 25 mm (1 inch) long and complement the treble clef brooch. The image shows a loop fitting, but I can do a stud, a hanging stud or fittings for non pierced ears.This pair is hallmarked one front, one rear, but they are usually hallmarked on the rear. I can do other sizes and variations to the shape including gold balls. Please ask. These are about 25 mm (1 inch) long. The image shows a direct loop fitting, but I can do a hanging loop fitting, a hanging stud, direct stud or fittings for non pierced ears. Please ask me for the style you would like. 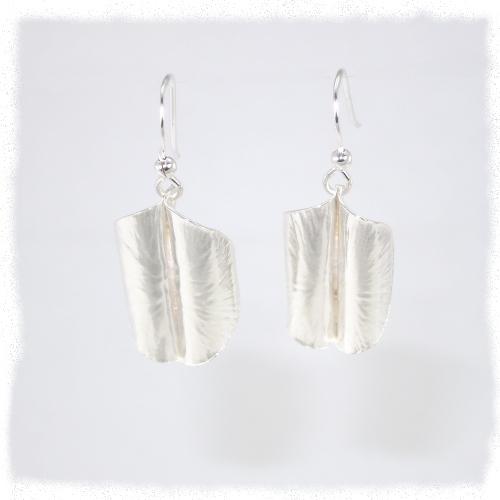 These silver earrings are 3 cm long, less the hook. They are fused from silver shapes and so whilst I try to make them as similar as possible, they will never be an exact pair. They are intended to complement the fused bracelet and pendants. 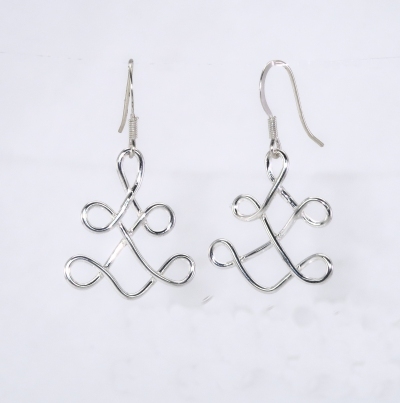 These silver earrings are 3 cm long, less the hook. 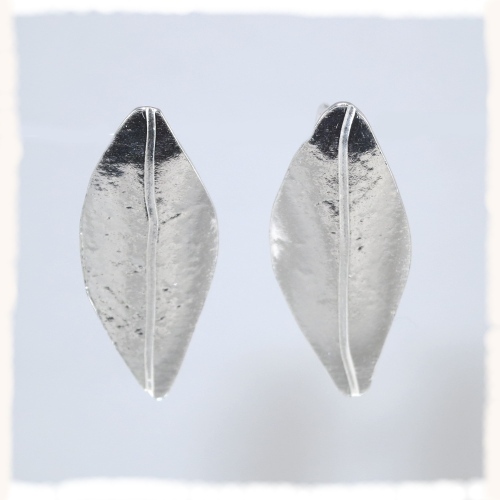 They are fused from silver shapes and so whilst I try to make them as similar as possible, they will never be an exact pair. These have gold plated highlights. They are intended to complement the fused bracelet and pendants, which could also have matching gold highlights added if you contact me. 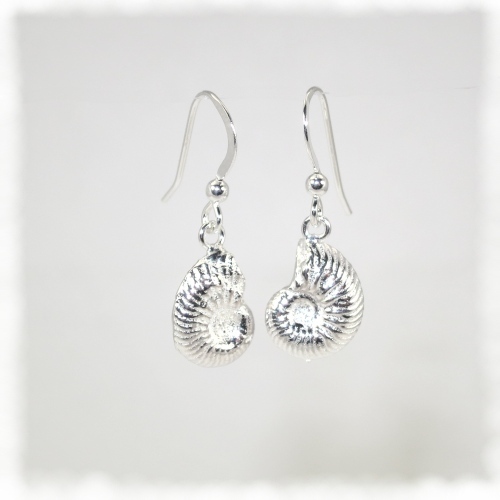 These are solid sterling silver casts of tiny ammonites. Each earring weighs about 3g and is less than 1cm tall. 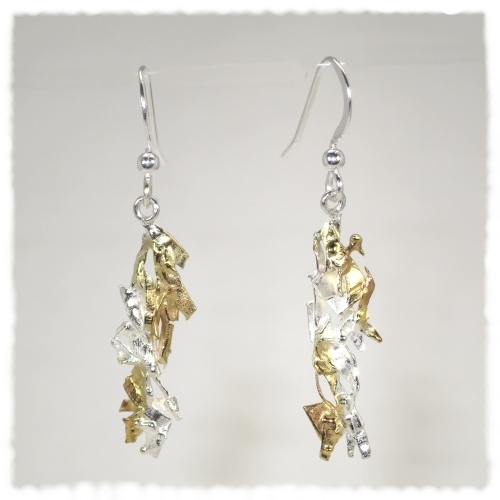 I also sell a pair of slightly larger earrings that are 2 cm tall. They have a flattish back and weigh 5g each. 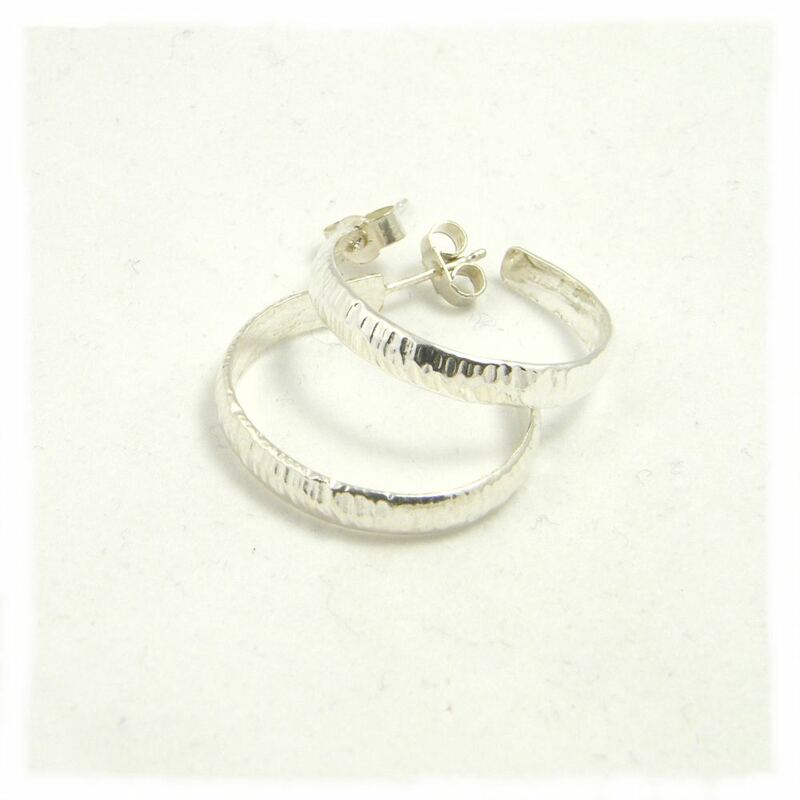 This pair is fully hallmarked. Please contact me if you would like to see a picture. 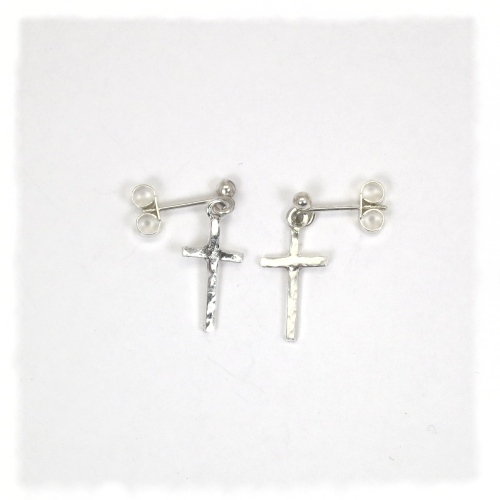 Tiny silver crosses - only 15mm high - with a slightly dappled finish. Available with loops if preferred - please contact me before ordering. 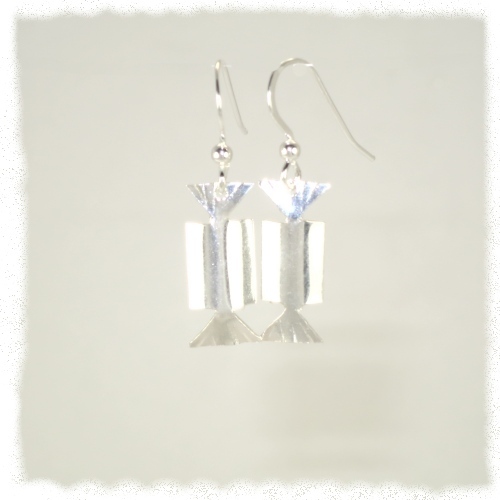 These earrings are fold formed from fine silver sheet and complement the fold formed pendants I have made (for example http://jhsilver.co.uk/blog/2015/11/blue-topaz-form-folded-silver-pendant/). They are available in a range of sizes and prices, but you wouldn't tell from the photographs. 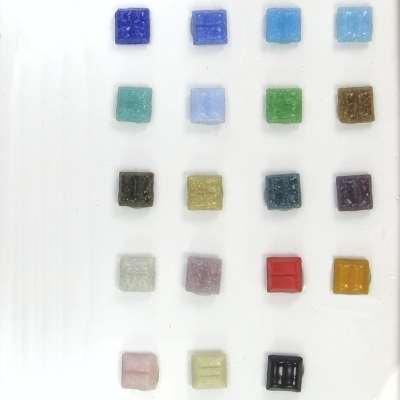 Small are 15mm high, medium 25mm and large 35mm. I can always make them to your specification too - please contact me. 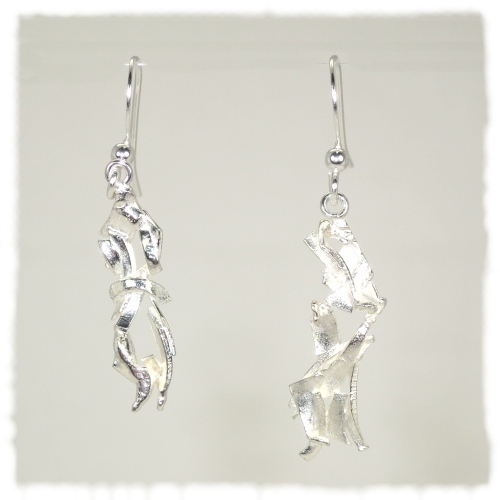 These earrings are 2cm high and are to complement the sweetie pendant available here. other ear fittings are available. 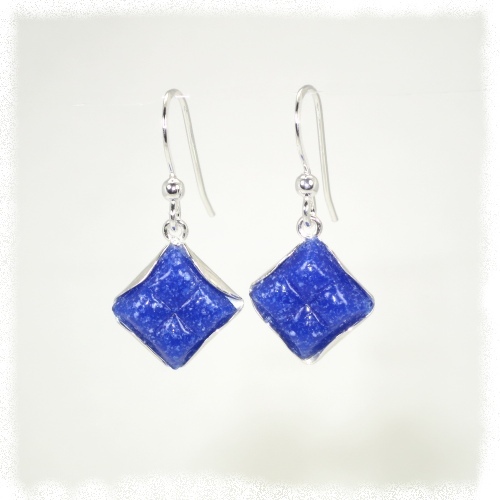 These earrings are mosaic tessera, but the rear face - the one that is normally in the cement - is much more interesting. The back and fittings are sterling silver. I now have a range of colours available. Please add the colour required in the comments during purchase - row 4, column 3 for red, otherwise i will send the blue ones. 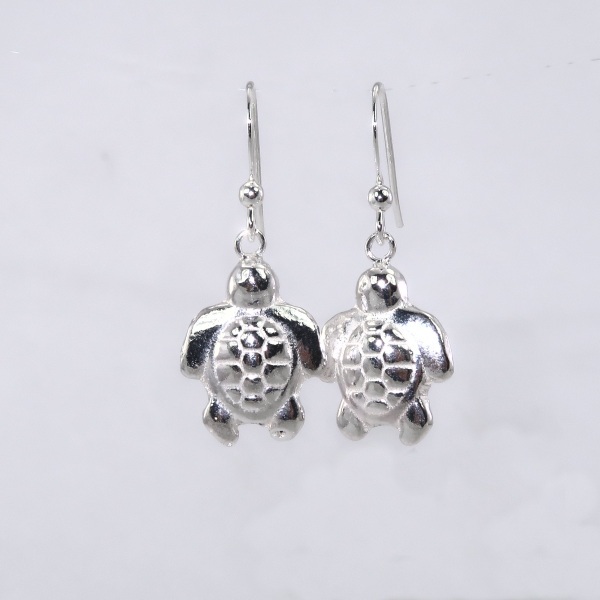 These turtle shaped earrings are solid and weigh about 5g each. They are about 15mm nose to end of flipper and are fully hallmarked. Other fittings are available on request. 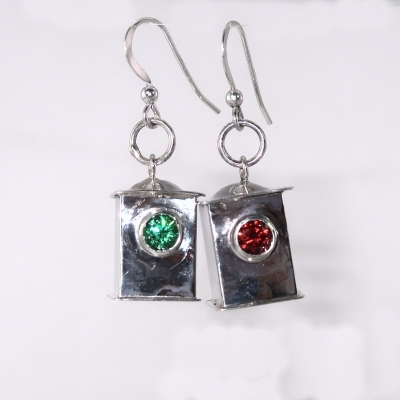 These earrings are to represent navigation lights on a ship - port (left) is red. Other colours can be supplied. They weigh about 6 grams each and are hallmarked on the base. Other fittings are available on request. A matching pendant is also available. 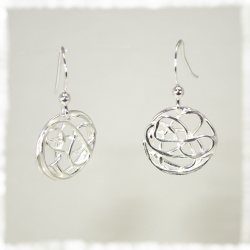 Sterling silver earringsbased on a Korean Yantra design - I just found the shape pleasing. They weigh about 2g each. Pendants are available in the same design. Other fittings are available on request.